Reef Doser is the first app released by Pixelwand. This handy reef tool, can help you calculate the appropriate amounts of each element needed to bring your levels up to par. 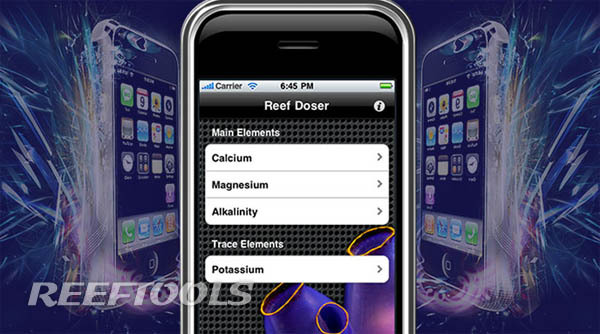 Pixelwand has split their Reef Doser Iphone App into two sections; the first is “main elements” which contain Calcium, Magnesium and Alkalinity. The second is “Trace Elements”, and includes elements that are dosed less frequently. At this point, only two types of additives are included in the calculations, but pixelwand promises to increase this as time goes on. Reef Tools has added a wonderful tracking system for your reef parameters which can be used along with any reef calculator.